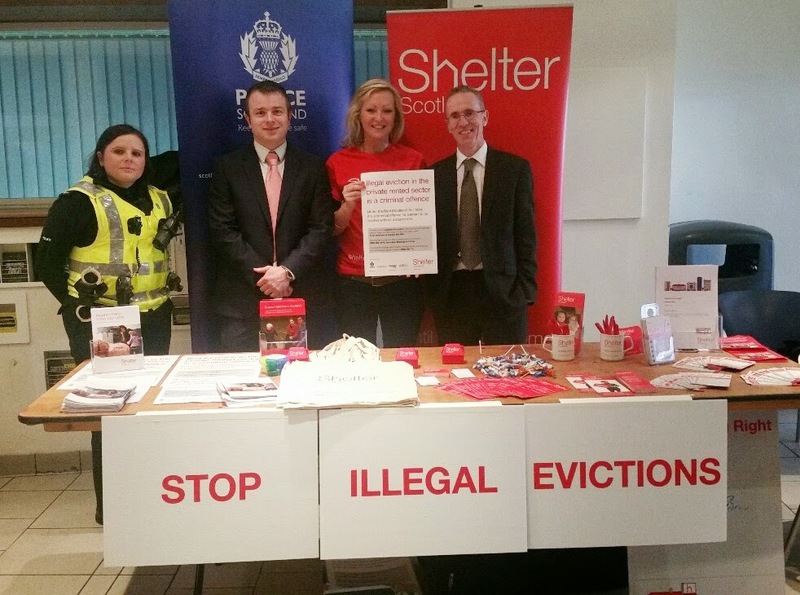 This morning, I had the pleasure of supporting Shelter Scotland’s awareness raising campaign – Illegal Evictions: Know Your Rights, run with the support of Police Scotland, Crimestoppers and the Scottish Association of Landlords. This afternoon, I had a very useful meeting with Housing Department officers and a representative of Community Payback about improving the Logie Estate’s railings. We are confident of getting many of the railings desperately needing repainted attended to over time in the coming months where the support of owners is agreed. This evening, I attended West End Community Council, where there was an interesting presentation from the Chair of the West End Local Community Planning Partnership (LCPP) and the West End’s Communities Officer about the LCPP’s work in the West End. As always, there was a good discussion about a variety of local issues as well as an update from Police Scotland. 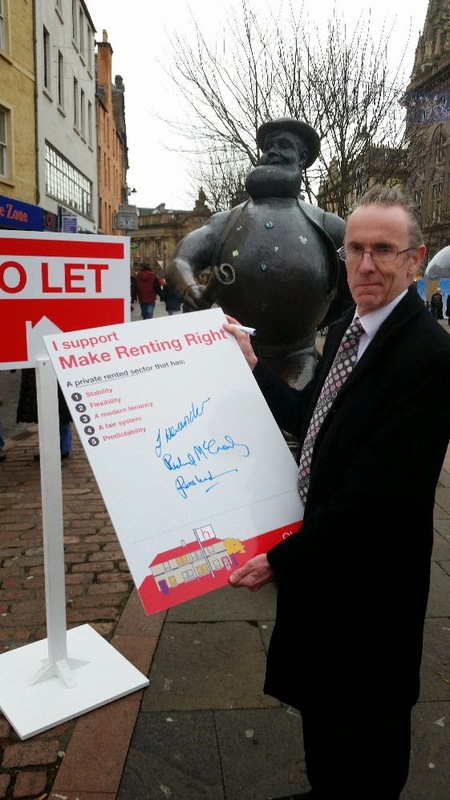 With 312,000 households in Scotland currently living in the private rented sector (13 percent of all households) and with the number of families living in the private rented sector more than doubling in the last 10 years we believe it’s time to make renting right. We want to see a safer, more secure and flexible private renting market that works for tenants and landlords. Representing the West End area with its large proportion of privately rented homes, I consider this campaign by Shelter to be of vital importance and am therefore pleased to give the campaign my strong support. 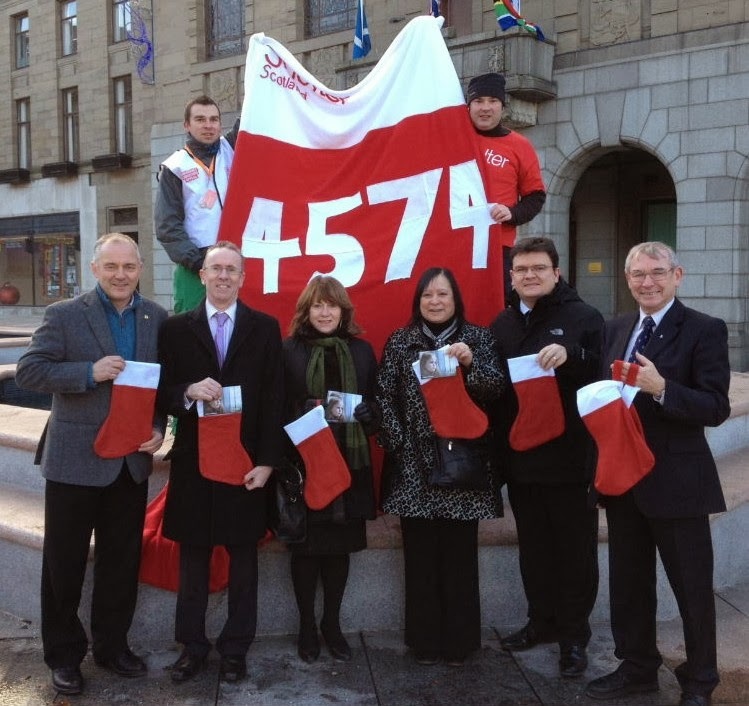 Last Friday, along with a number of my councillor colleagues, I was in the City Square to support Shelter Scotland’s campaign day where Shelter representatives were handing out Christmas stockings to people who’d like to donate gifts by filling the Christmas stockings and handing them in to the Shelter Scotland shop in Perth Road. Shelter will be giving the gifts received to children living in temporary accommodation that Shelter works with. I am pictured (above) at the campaign day in the City Square and (below) with my councillor colleagues. As Shelter advised us, “As part of our Christmas campaign we’re also campaigning for better standards in temporary accommodation. Accessing good quality temporary accommodation is an important part of delivering the 2012 commitment, and it’s the crucial first step away from homelessness. “For that reason, it is vital that the 10,494 households in temporary accommodation in Scotland, including 4,574 homeless children get a good and consistent service and that time spent in temporary accommodation is a positive move away from crisis. Find out more about Shelter Scotland’s work at www.scotland.shelter.org.uk. 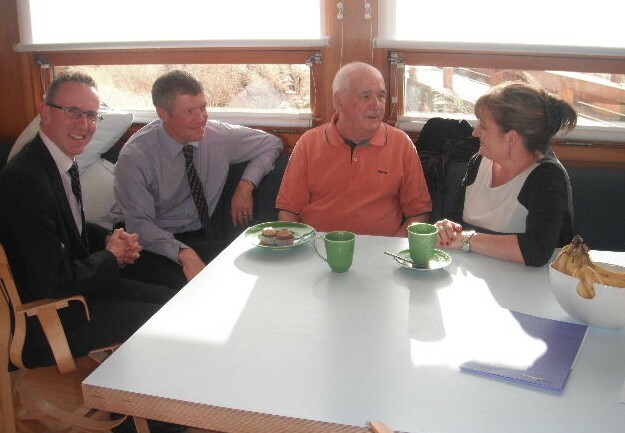 I was delighted to welcome Willie Rennie MSP, Leader of the Scottish Liberal Democrats, back to Dundee yesterday. 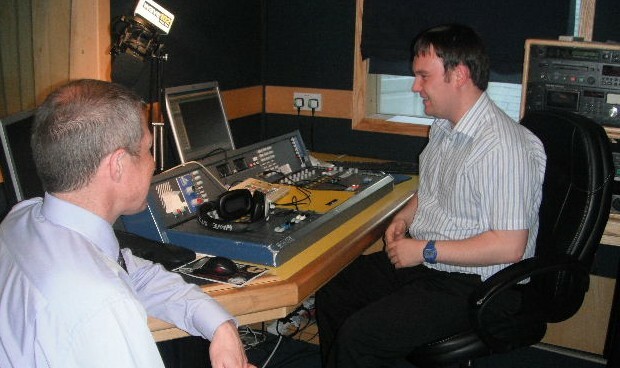 In addition to doing a joint West End Ward surgery with me at the Mitchell Street Centre, Willie and I also visited Maggie’s Centre, the Shelter shop on Perth Road and the Wave 102 studios. 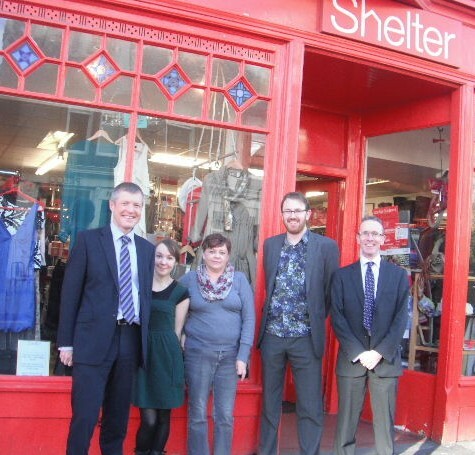 Willie and I had a really enjoyable visit to Shelter’s shop in Perth Road, managed by Karen Kelbie and her super team. 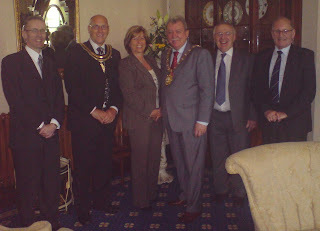 Here’s Willie (left) and me (right) with some of the team, including Andy Moodie, regional manager. 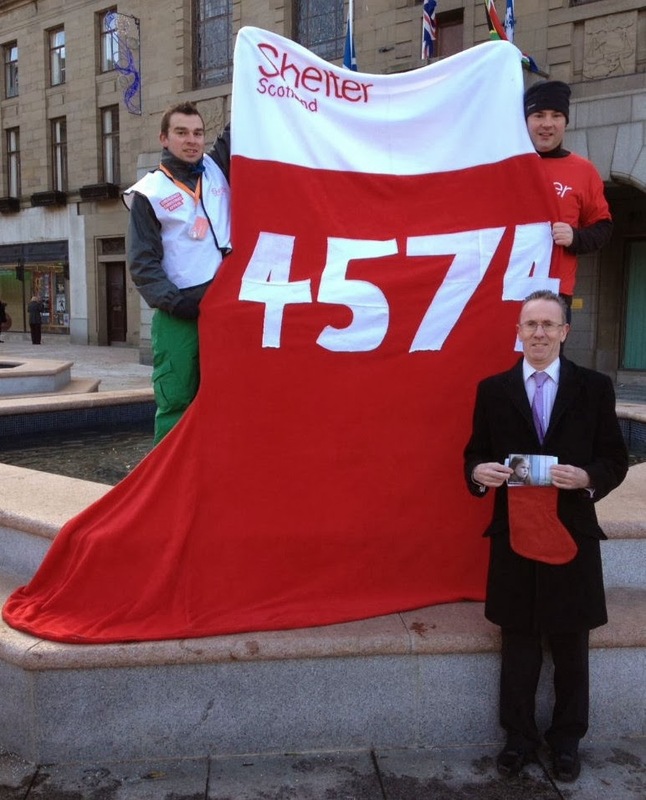 At lunchtime today, I joined with Shelter Scotland and other Dundee politicians to support Shelter’s campaign to ensure the Scottish budget reflects the importance of decent housing and makes building more homes for affordable rent a national priority in Scotland. Earlier in the day, I met with the Director of Housing of the City Council, other senior housing staff and a representative from the City Development Department over the rent levels in Dundee’s new build council houses. I am anxious to see that rents are at affordable levels that are attractive to people of the council’s waiting list. Apologies, no blog entries since the middle of last week, partly because I was in Northern Ireland for a few days with the day job and partly because of the backlog on return! 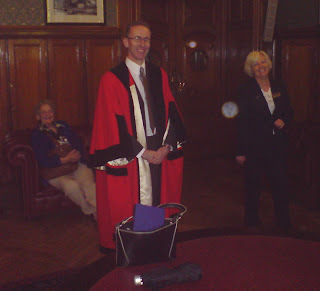 My colleagues and I had the pleasure of meeting the Lord Mayor of Belfast while across in Northern Ireland (see right) and during a tour of City Hall yours truly was invited to model the councillors’ robes! See below, right. On return, Shelter and I issued a joint statement about availability of housing/tenancy advice from Shelter and other organisations, following the recent issues about termination of tenancies in parts of the Perth Road/Step Row area. The story was featured by the BBC (click on the headline above to view) and the Evening Telegraph. I also spoke on Wave 102 about the issue. I organised a site visit yesterday with residents/community council representatives and a member of Planning & Transportation staff about the difficulties exiting Windsor Street at its north end. Two of my West End councillor colleagues were also able to attend. I have been promised feedback following this on the parking issue adjacent to the junction. Dundee is set to have a comprehensive car parking strategy that will help contribute to the economy of the city. Councillors at the city council’s planning and transport committee on Monday (June 11) will be asked to approve a central Dundee parking strategy. A report to the committee also focuses on the needs of residents living in and around the city centre. 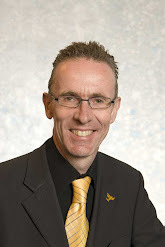 Planning and transport convener Councillor Fraser Macpherson said: “The strategy aims to ensure that there is a balance between the economic prosperity of the city and safe, sustainable transport. “Dundee is now a very successful regional shopping centre and a car parking strategy has a key role to play in supporting its vitality by encouraging a high level of turnover of shopper and visitors through suitable quality parking provision. Councillor Macpherson said the focus on the requirements of parking for residents in and around the city centre was a very positive move. “The council has been encouraging people to live in the city centre areas so we need to look at the best way of accommodating residents’ parking in a way that does not adversely affect the overall balanced parking strategy. This is something that will require further consultation and investigation.